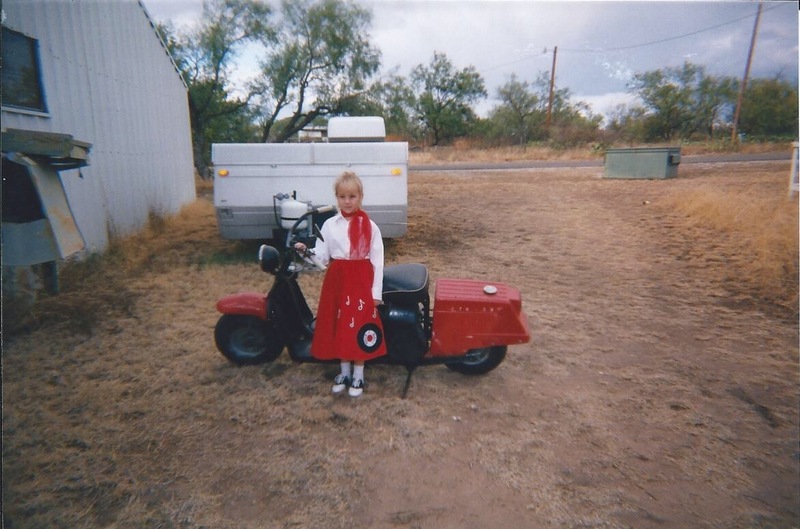 Jennifer Johnson – My Side of the Story | Texas Cushman Club, Inc. When Raymond and I would attend Cushman events in the decade of the 1990s, we would see this sweet girl with her grandparents. This is Jennifer Wyatt. Her grandparents, Ben and Gene Sargent, were faithful to include grandchildren in their trips to Cushman meetings. She and Tyler Johnson married and began their own family. And their own Cushman traditions. Tyler has restored a Silver Eagle with Ben’s guidance and help. 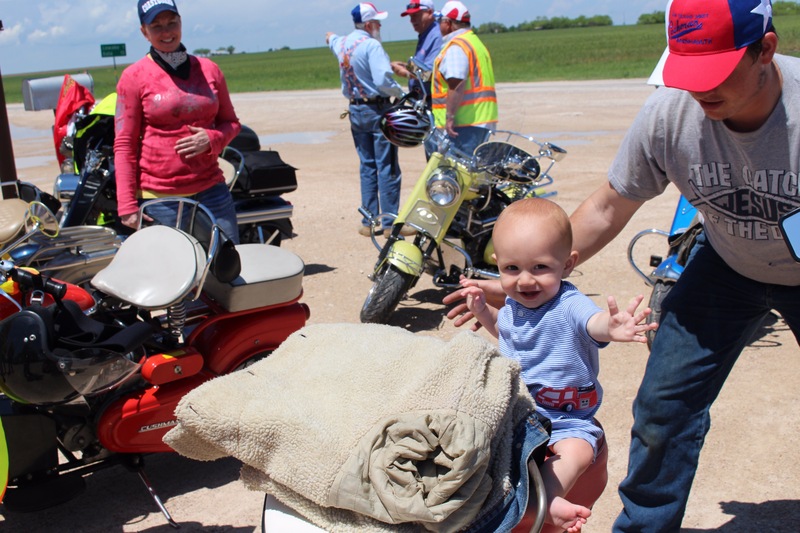 Here is Wyatt showing off his joy of knowing this scooter will provide him and his dad more fun in the coming days and years. Jennifer has been involved with the Cushman friends all these years. Her college degree in teaching will give her more skills that will make her a Newsletter Editor extroidaire. Jennifer will need your help: to make her a Great Editor, you are asked to send information, calendar events, and news. Use the texascushmaneditor@gmail.com email. Wonderful news. Good people. Lots of great rides ahead.